It is more than 50 years since the Danish public has been able to experience a large exhibition devoted exclusively to van Gogh’s paintings and drawings. In a unique collaboration with the Kröller-Müller Museum, The Netherlands, ARKEN now open its doors for a wide-ranging exhibition of van Gogh’s works with a focus on the relations among art, humanity, nature and religion. 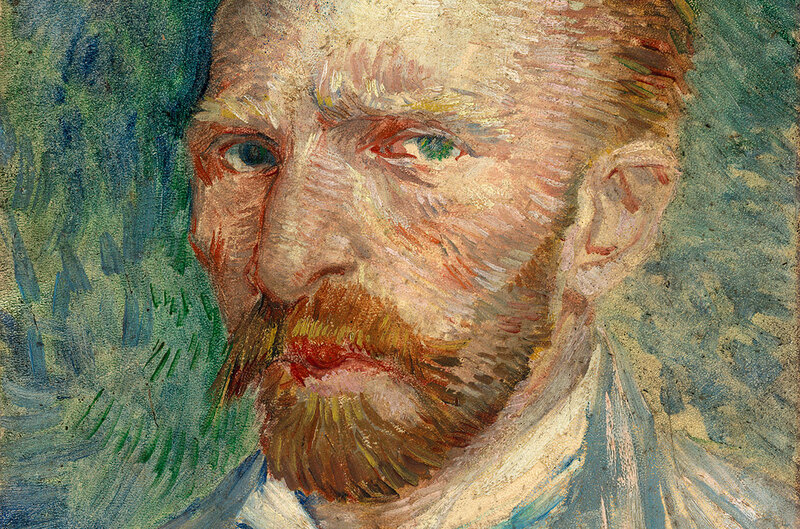 Vincent van Gogh (1853-90) is one of the most famous artists to have walked this earth. Notorious for having cut his ear off. Loved for his moving paintings and letters, which give us intimate insights into his life and thoughts. For Van Gogh life and art were a hard struggle. Yet he was able to create an original artistic idiom that demonstrates his profound belief in the cosmic unity of man and nature. 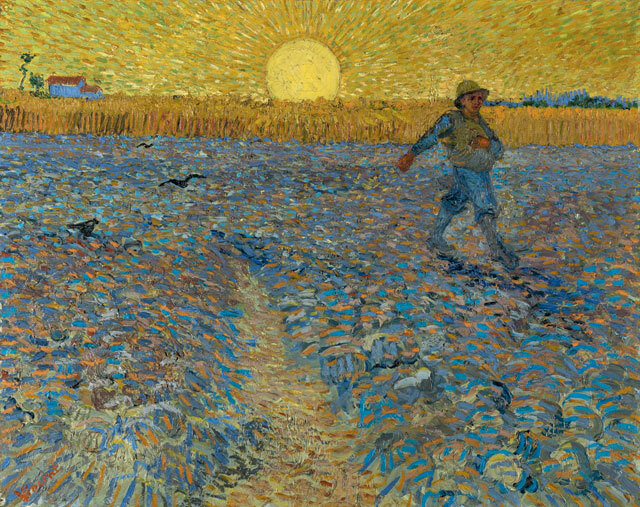 ARKEN’s exhibition shows with 28 paintings and 11 drawings how his depictions of hard-working farm labourers and captivating landscapes in Arles were meant to express the divine in nature and mankind at a time of new departures in society when traditional faith was coming under pressure from modern philosophy and science. What am I in the eyes of most people? A nonentity or an oddity or a disagreeable person — someone who has and will have no position in society, in short a little lower than the lowest. Very well…, then through my work I’d like to show what there is in the heart of such an oddity, such a nobody. Van Gogh’s landscapes are not charming postcards frozen in time. Everything lives and moves. The earth swells, the trees breathe and the heavenly bodies follow their courses. 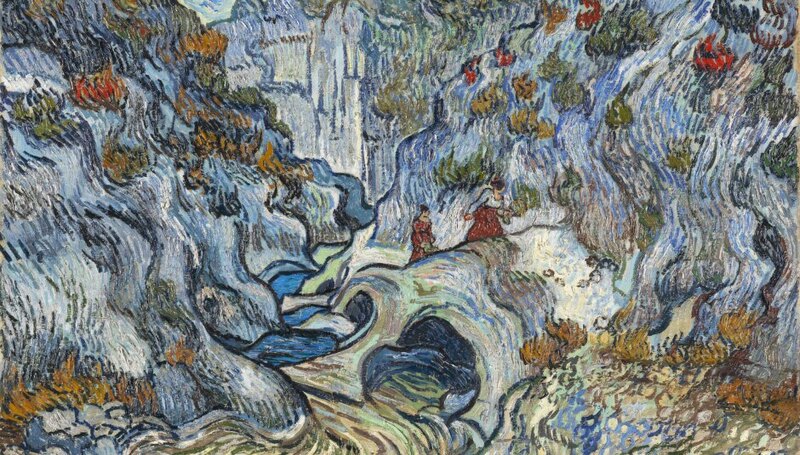 Vincent van Gogh, The Ravine, 1889. Courtesy Kröller-Müller Museum, Otterlo. From childhood Van Gogh was preoccupied with the close study of nature. All his life he wandered on foot through the landscapes he lived in, and as an artist he preferred to paint under the open sky. Over time Van Gogh developed a quite personal Christian faith. He did not attend church. He found the divine outside the church in everything living, from a dandelion in seed to the intense sea of beams of the sinking sun. 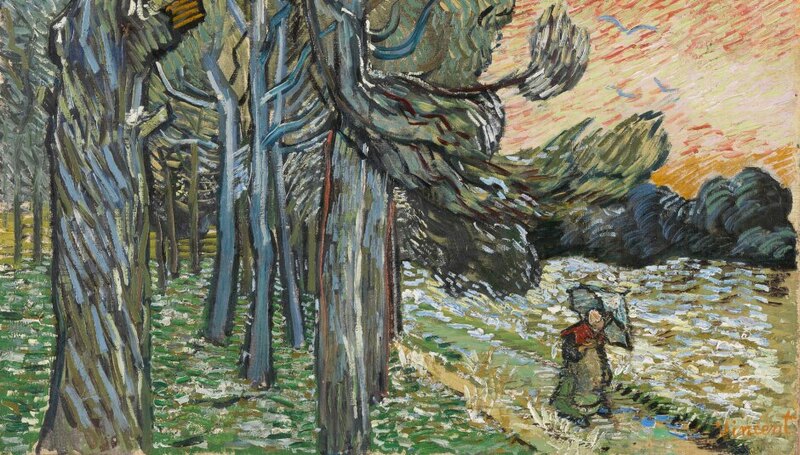 In a letter from 1889 Van Gogh wrote: “I plough on my canvases as the peasants do in their fields.” When Van Gogh ploughed the canvas with his brush, he immersed himself in the loam, the olive groves and the quiet corners in the rambling garden of the psychiatric hospital in Saint-Rémy. 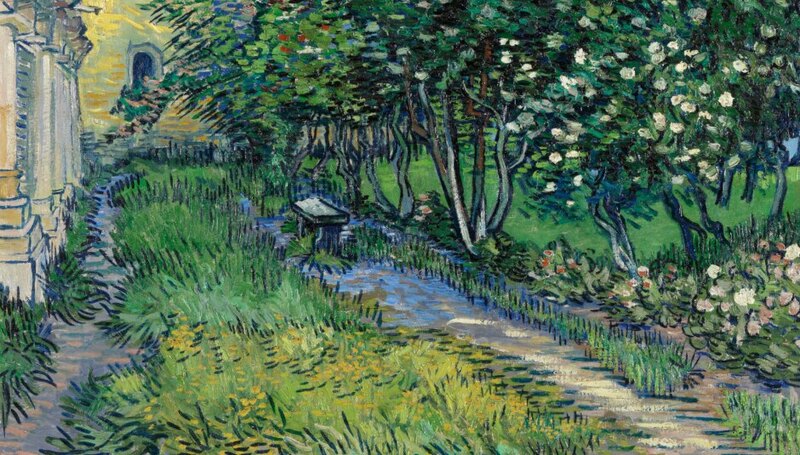 Detail of Vincent van Gogh, The Garden of the Asylum at Saint Rémy, 1889. Courtesy of the Kröller-Müller. He asked himself how he could make himself useful – like the diligent peasant – as an artist in the world. The answer for him was to sow the divine message of beauty in the world through his painting. In The Sower Van Gogh gathers his ideas about the artist as someone who shows us the spiritual depths of nature by creating beautiful depictions of it. The sower is the protagonist of the Biblical parable about spreading the word of God. At the same time he is a quite ordinary peasant who works to the rhythm of nature. Detail of Vincent van Gogh, Pine Trees at Sunset, 1889. Courtesy of the Kröller-Müller Museum.